Welcome to our patient center! At Lakeshore Eyecare Center, we believe in continual improvement of our services. Please take a few moments and share your experience with our office. We appreciate your feedback! As leading eye healthcare providers, the doctors and staff at Lakeshore Eyecare Center, have selected the resources in this section of the website for their patient's eyecare education and understanding. We are committed to protecting you eyesight using professional services and products designed to help you see and look your best! Our practice motto is: "Your Vision Is Our Most Important Concern." If your plan is not listed here, please call our practice. 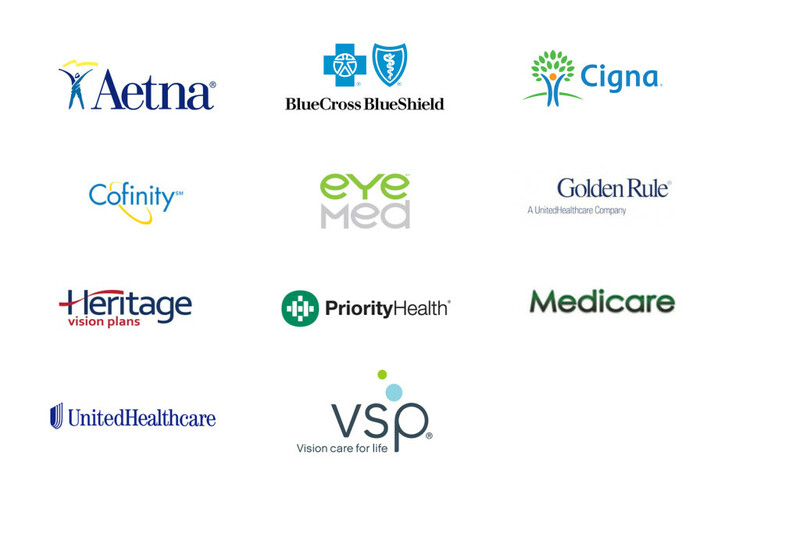 Our staff will help you maximize your plan benefits and limit your out of pocket expenses. For patients who have no vision and/or medical eyecare insurance coverage, Lakeshore Eyecare Center offers a Time of Service 10% Cash Discount on professional services and most optical products. Please call and speak with a patient services staff member who will provide more details. You can still receive the great care, products and service from Lakeshore Eyecare Center by taking advantage of our Time of Service Cash Discounts on exams and optical products. We will provide an itemized statement for you to submit to the insurance company for reimbursement to you.